Thornton, Colorado: At least three people were killed in a shooting inside a Walmart store on Wednesday in suburban Denver, where police said they had not yet taken anyone into custody. Two men were killed in the shooting. A women, who was injured in the shooting, was taken to a hospital where she later died, Thornton Police Department said on Twitter. The situation appeared potentially ominous from authorities' initial reports. "We've got multiple parties down, we're still trying to ascertain what their conditions are," Officer Victor Avila of the Thornton Police Department told Reuters by telephone not long after police arrived on the scene. Avila said police were called to the store at about 6:30 p.m. Mountain time (8:30 p.m. ET) and that the gunshots had ceased by the time the first officers arrived at the scene. 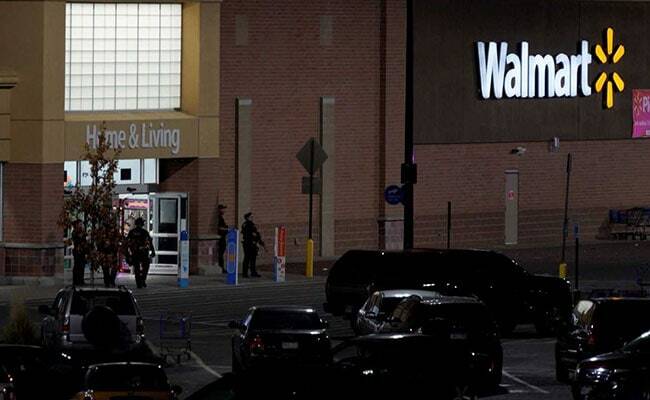 A Walmart customer, Aaron Stephens, 44, of Thorton, told Reuters he was inside paying for groceries at a self-checkout stand when he heard gunshots and the sound of ricocheting bullets. "The employees started screaming and the customers started screaming" as people began to flee the store, he recounted. "I ran out, too, because I didn't want to get shot." Stephens said he did not see where the shooting had come from and did not see anyone struck by bullets.